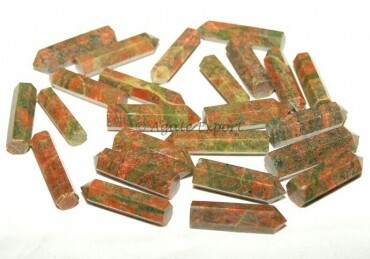 Unakite Pencil Point by Agate Export is available in size 25-30mm. The Unakite stone brings luck and prosperity. Keep the pencil point around you and see the effect.